If you’ve got more than 10 employees OSHA says you must keep records of work-related injuries and illnesses (certain low-hazard industries are exempt). All employers, including those exempt from standard recordkeeping or reporting requirements under workplace safety and health rules, must report any fatality, inpatient hospitalization, amputation, or loss of an eye to OSHA. 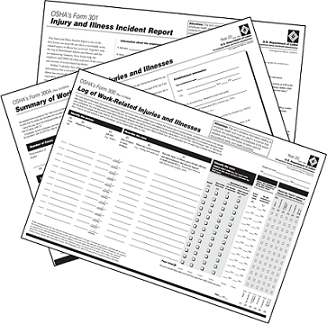 OSHA has developed three forms for incident recordkeeping. Each recordable case must be entered on the forms within 7 calendar days of receiving information that a recordable case occurred. The OSHA 300 Log contains a brief description of each recordable work-related injury or illness that occurred during the calendar year. The annual summary is a list of injuries and illnesses that were recorded on the OSHA 300 Log during the previous calendar year. The annual summary must be posted in a conspicuous place where notices to employees are customarily posted from February 1 to April 30 each year. The report requires the employee’s name, department, and occupation; the nature of injury or illness; and extent of lost time. 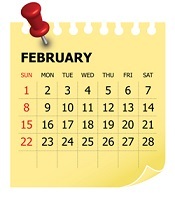 The data must be recorded within 7 working days after receiving information of the event. BUT, there are privacy cases where the person’s name may be omitted.